bSoul Natural Skincare Product Reviews and a Giveaway! I have very sensitive skin. I have eczema that is hereditary. When I consumed a lot of processed food and used skincare products that contain a lot of chemicals, my skin wasn't in its best condition. Even when I had significantly switched to a healthier and natural lifestyle, there are still environmental factors such as pollution and dust that easily irritate my skin. Eating the right kinds of food is definitely the most important factor for healthy skin. Some people are blessed with beautiful skin naturally. Some others, including me, have to intentionally take care of our skin daily to keep them healthy. There are many ways to nourish our skin naturally, but some people still prefer to buy formulated products for convenience and comfort. There are indeed advantages to buying high-quality natural skin care products because these companies have spent time and resources researching on blends of ingredients that give maximum effectiveness for our skin. Let me introduce you to bSoul skin care from Tuscany, Italy. 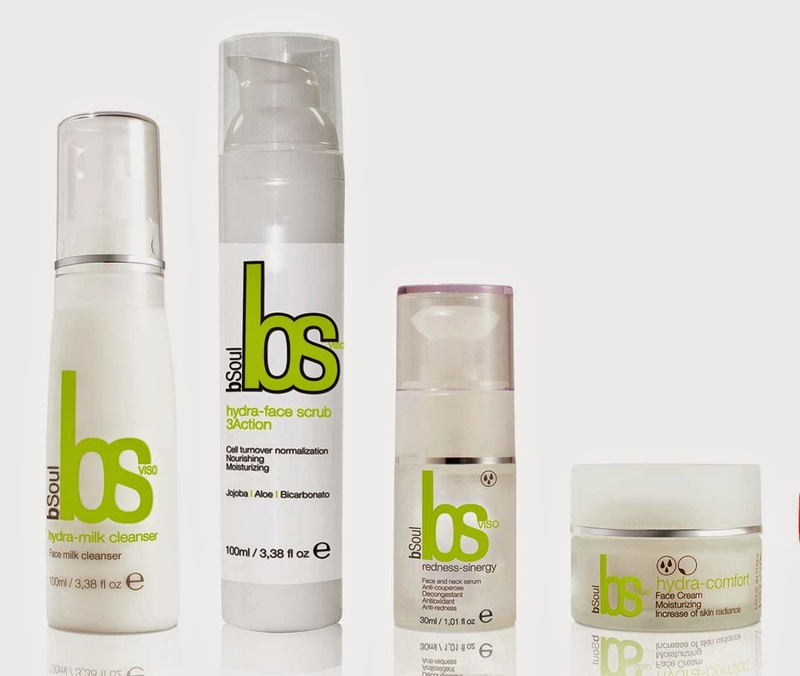 This product range is eco-friendly and skin-friendly. They look to nature to get rich ingredients that gives the best to the skin, while respecting the skin and the environment. bSoul range does not contain toxic ingredients including mineral oils, petroleum products, dimethicone, petrolatum, paraffin, alkyl, acryl, peg, substances of animal origin, SLEs and parabens. Some of these substances, such as paraffin, acrylics and silicones give an illusion that our skin has improved, but in reality they interfere with our natural moisterizing properties and disrupt our skin's ability to self-regenerate and self-protect, even when combined with excellent natural ingredients. bSoul skin care is certified by ICEA (Environmental and Ethical Certification Institute), vegan friendly and also cruelty free. They are unfortunately not 100% natural because they do contain preservatives called phenoxyethanol and fragrances (though they are approved by ICEA). Preservatives are needed for all skin care products sold on the shelves to prevent bacteria from growing and phenoxyethanol is the lesser evil compared to many other preservatives out there. 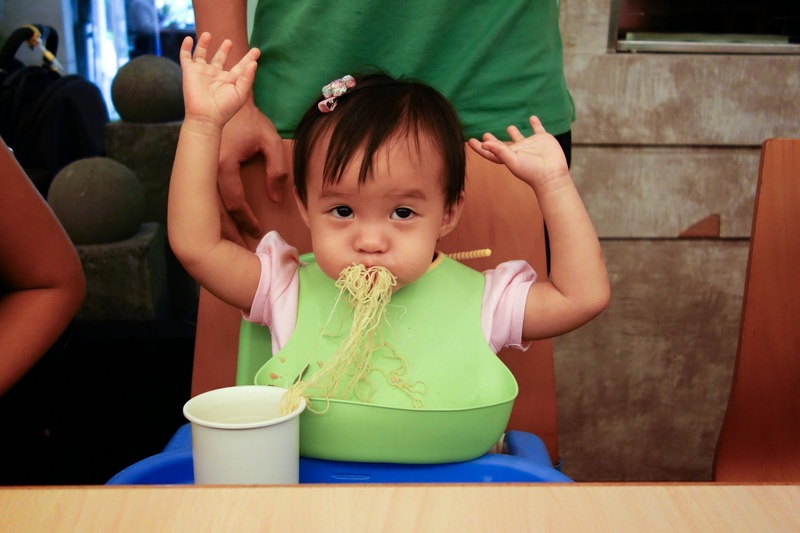 The good news is they are used in very little amount and thus their shelf life is only 6-12 months. The packaging materials for bSoul range are also made with recycled or recyclable materials, making them eco-friendly. That said, this is not a perfect product but the choices we have in the market today may be far worse. A close look at ingredient labels will give you the answer. bSoul aims to help the skin restore its ideal condition through continual research and improvement. Hydra-Milk Cleanser cleanses the skin without drying it. It is made with argan oil and rosa moschata which lipids are similar to our skin thus they can be easily absorbed, contains antioxidant properties, and gives the necessary fat acids for our skin; Sage, Thyme, and Rosemary Extracts: Sage and thyme are antiseptic, purifying, sebum-rebalancing and anti-inflammatory. 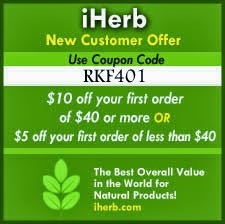 Rosemary has antioxidant properties that help fight free radicals, and Lactic Acid to regulate the skin pH. This cleanser is very gentle and moisturizing on the skin. Hydra-Face Scrub 3Action is a delicate scrub that nourishes and normalizes skin. It is made with vitamin E-rich and hydrating jojoba that has antioxidant properties, aloe vera extract - a cooling plant that protects, heal, reduce inflammation, and boost cell regeneration, and baking soda - an excellent and gentle exfoliator that helps to remove dead skin cells, making skin brighter and more youthful. I enjoy this scrub a few times a week. It exfoliates my skin very well. 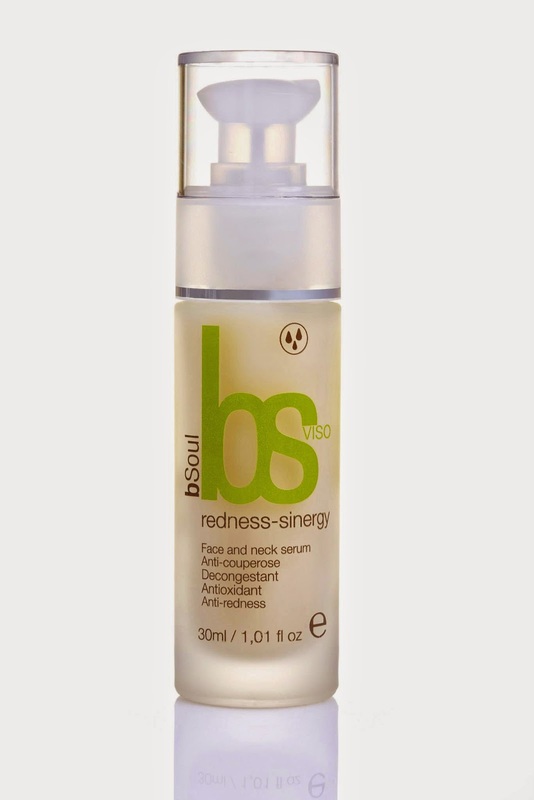 Redness-Sinergy Serum is a serum with a very high functional ingredients concentration that boosts sensitive skin defense against oxidative damage. This concentrated serum contains potent anti-inflmmatory magnolia bark extract, maitake mushroom extract that enhances skin elasticity and firmness, lactic acid to regulate skin pH, aloe vera, chamomile, mallow, and calendula extracts that refresh, calm, and sooth the skin, and vitamin E (antioxidant). Suitable for all skin type, especially for delicate, sensitive, and reactive skin. This is by far my favorite. It is a rich moisturizer and penetrates deep into the skin. It smells mildly sweet like honeysuckle, which is refreshing. 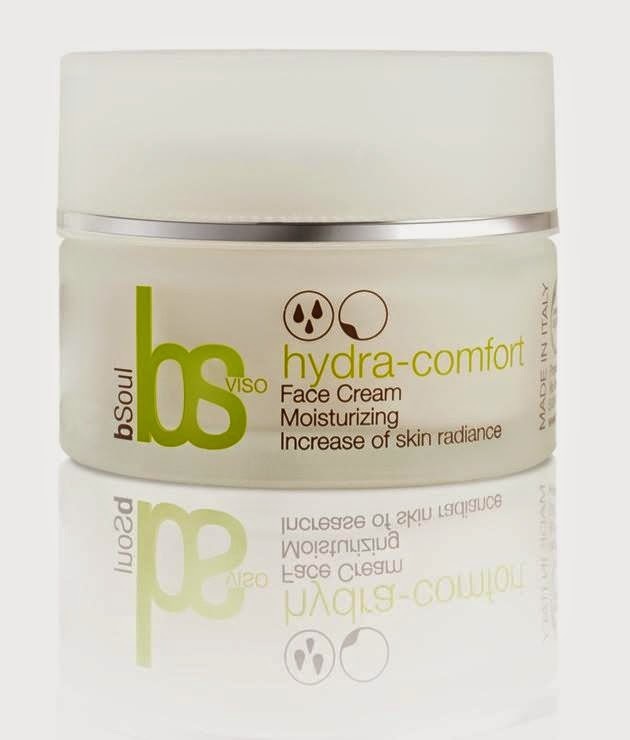 Hydra-Comfort Face Cream is a moisturizing cream that restores, hydrates, and gives a radiant complexion. It is suitable for all skin types, even the most sensitive and delicate, as it is made of soothing and softening altea and mallow extracts, aloe vera extract that shields our skin against the sun rays, antioxidant rosemary extract, vitamin E, nourishing shea butter, and squalene to retain the natural moisture of the skin. I apply this cream when I go out since aloe vera helps to protect our skin from the sun's UV rays. I have to say that this set beats many of the skin care products that I've tried in the past. I love that this is as natural as it can be, while still smell appealing to those who are switching into natural products. My skin feels so pampered and hydrated and I highly recommend this set! A healthy skin is able to self regenerate, self protect and also can retain water and the nutrients in it. People who are used to using synthetic skin care and cosmetic products or have a complicated skin history may find that their skin will need a longer time to stabilize. It takes about a month for our skin to regenerate new skin cells and thus you need to be patient when switching your skin care products to a natural one. You may see break outs in the beginning but your skin will calm down afterwards. 3. Comment on this post on why you'd like to win a bSoul skincare set and leave your email address. If you are uncomfortable leaving your email publicly, send me a message through Pasture Living Facebook page. This giveaway will end on 25 July 2014 Singapore time and the winners will be announced through email. Open to Singapore residents only. A special discount for those of you who want to purchase bSoul Physiological Normalization Kit, use coupon code "BSVicky10%" (expire 31 September 2014, for a 10% discount when you shop through their online store. Disclaimer: Hap Global sponsored the above products for reviews, no compensation was received and all opinions are my own. 1. Early in the morning, increase our well being and boost our immune system by getting rid of toxins from our body with fresh Wheatgrass Juice. It's rich in chlorophyll, a pigment that helps to detoxify our body, treats bad breath, and has antioxidant and anti-inflammatory properties that help fight infections. 2. 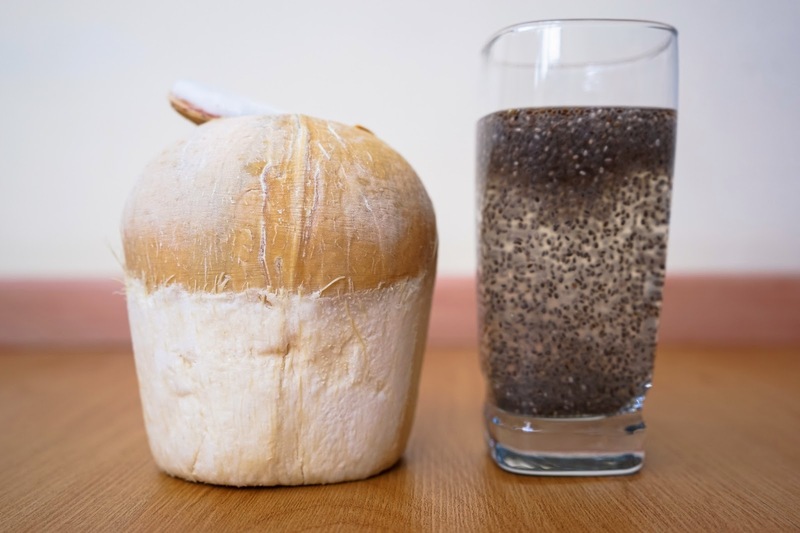 To boost energy and keep you hydrated, try Coconut-Chia Energy Drink that is packed with protein, fiber, antioxidants, and electrolytes. 3. For those who are on gluten-free diet and allergic to cow's milk but needs an extra dose of calcium, vitamin E, and minerals such as magnesium, potassium, zinc, and iron, try making homemade Almond Milk. This can keep in the fridge for up to five days, so you can make it ahead of time on your less busy days. 4. A healthy gut is one of the cornerstones for a healthy body. Our body needs more probiotics (good bacteria) more than ever before because of all the processed food and drinks we consume and the overuse of antibiotics. This easy to make Water Kefir and Milk Kefir are natural probiotic beverages that can help you balance your gut flora and improve your digestion. It takes only a few minutes to put together, let them ferment for a day or two, and you can enjoy this probiotic-rich drinks anytime at home. Make one big batch and you are set for the week. 5. Throughout the day, keep a big bottle of Fruits and Herbs-Infused Flavored Water to keep you motivated to drink and your body hydrated, while reaping the benefits of the vitamins and minerals that are infused into your water from the fresh fruits and herbs. 6. When you don't feel well or down with a flu, warm your body with homemade Lemon, Garlic, Ginger, and Honey Tea. Each ingredient provides unique power to fight off infections, balances the body's pH and, speeds up circulation, and boosts our immune system. What are your favorite natural, healthy drinks that you like to make at home? CocoNurture Organic Coconut Oil Reviews and A Giveaway! I have been consuming coconut oil for about two years now and I've witnessed health improvements by making coconut oil a regular part of my diet. I recently found out about CocoNurture, a company based in Singapore that sells coconut oil. I was excited when they sent me some of their products to try because I know coconut oil is sooooo good for our health as well as for our skin. They have two kinds of organic coconut oil: Ultra Light and Premium Culinary Virgin Coconut Oil (VCO). They are both cold-pressed and organic but they use different methods of extraction, thus yielding a slightly different result in texture, taste, and aroma. The Ultra Light VCO is more coconut-ty in flavor and lighter in texture and is best consumed raw. The Premium Culinary VCO is thicker in texture but lighter in taste, which is perfect for cooking as it doesn't alter the taste and aroma of food. The VCO's that I have bought previously have very strong coconut flavors and some people do not enjoy the coconut taste in the food when I cook with it. 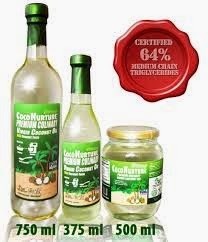 The ultra light VCO is easy to swallow raw in my opinion and it is my favorite because I sometimes gag when swallowing If you don't quite like the coconut aroma but wish to add more coconut oil in your diet, CocoNurture Premium Culinary VCO may be your answer. The other advantage of getting CocoNurture coconut oil is that you can get your coconut oil on your door immediately as they deliver fast and they offer free shipping for orders over $80. Aside from coconut oil, they also sell other organic coconut products such as coconut sugar, a natural sweetener with low GI index (GI 35), coconut nectar syrup, coconut flour (which is gluten-free), coconut cider vinegar, and coconut oil-infused skincare products, including baby oil and diaper rash oil. On its own, coconut oil is anti-bacterial, anti-fungal, aids in healing of wounds, is moisturizing for our skin, and doesn't leave oily residue on our skin because it gets absorbed very quickly into our skin. When coconut oil meets the right essential oils, the nourishing and healing properties of the infusion is even greater. CocoNurture has in-house herbalists who specialize in essential oils and know the precise concentrations they need to make a particular blend. The essentials they use are gentle yet very effective for the purposes they serve. 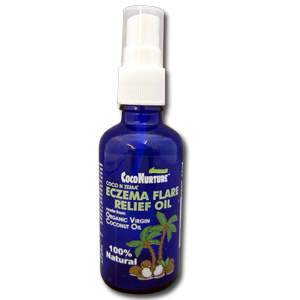 I particularly love their Eczema Flare Relief Oil, which I have been applying on rashes and eczema. It's very moisturizing, cooling, and soothes itchy and dry skin. 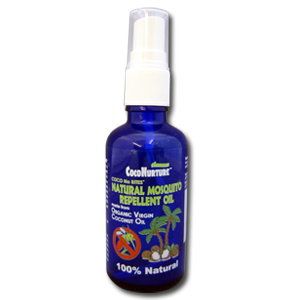 Coconurture's Natural Mosquito Repellent Oil has been a lifesaver when we go to the parks. My daughter has sensitive skin and one little insect bite will leave a mark on her skin for a long time. I'm pleased to know that it doesn't contain DEET, an active ingredient that is found in most commercial insect repellent. DEET has been linked to neurological problems as well as eye and skin irritants and I don't want it on my daughter's skin. I have to say that this is one of the most effective insect repellent I have tried. 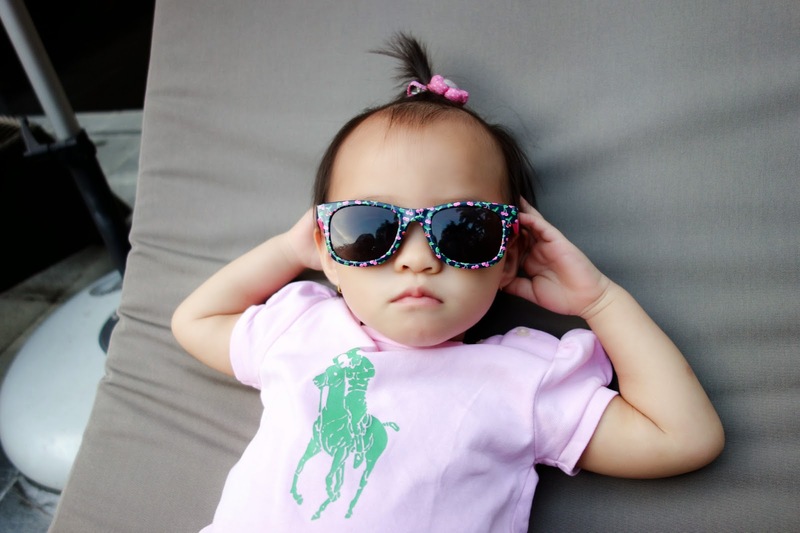 I often bring my daughter down to the park and always come back with mosquito bites. Since I apply this oil, we are mostly mosquito bite-free! When I applied the oil thinly, we still come back with some bites, so I have been more generous in applying the oil and that has really prevented us from getting mosquito bites. I've also been applying their Intense Scalp Treatment on my husband. 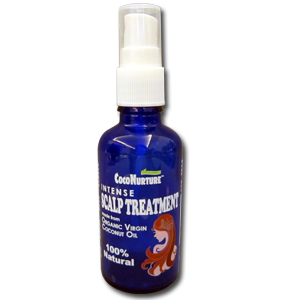 I've been applying just VCO on his scalp, but having this coconut-oil infused mixture that is already blended with essential oils specifically to nourish the scalp is very helpful and convenient. Best of all, the ones I have mentioned and reviewed here do not contain any toxic ingredients such as parabens, sulfates, phthalates, petroleum, preservatives, and synthetic fragrances. And they come in handy spray bottles for ease of use. Thanks to CocoNurture, some of you will get to try their awesome coconut oil products! Three winners will get a set of twin pack Ultra Light and Premium Culinary Virgin Coconut Oil (worth S$36.60) and another three winners will get a bottle of Eczema Flare Relief Oil and a bottle of Mosquito Repellent Oil each (worth S$33.60). 2. Comment on this post which Coconurture coconut oil productscyou'd like to win (coconut oils or the eczema/repellent oils) and leave your email address. If you are uncomfortable leaving your email publicly, send me a message through Pasture Living Facebook page. 3. Like and share this giveaway on your Facebook page and tag a friend. This giveaway will end on 18 July 2014 Singapore time and the winners will be announced through email. Open to Singapore residents only. Disclaimer: Coconurture sponsored the above products for reviews, no compensation was received and all opinions are my own.